As someone becomes more and more familiar with rap, he or she realizes that — in a genre that encompasses the styles of everyone from riddlers like MF DOOM to philosophers like KRS-One — there’s no problem finding completely different artists to enjoy completely different styles. If you want good party music, it’s Drake. Try 50 Cent if killer hooks are your thing. Deep, engaging stories? 2Pac’s your man. And, if you’re searching for a killer musical accompaniment, check out the music of Missy “Misdemeanor” Elliott. Now, that might seem paradoxical. Audiences should go to a rapper because of how she treats the beat and not how she treats her lyrics? + Learn more on Soundfly: Learn to use Ableton’s Drum Rack, and start making your own deep cuts in 15 minutes with How to Make Your First Beat in Ableton Live! Elliott somehow manages to make the most out of a pretty standard 4/4 meter. Not every producer is going to sit on each beat of a 4/4 and accent it in the musical accompaniment. Most producers are much more interested in exploring a meter’s capacity for syncopation and polyrhythm, and rappers will almost always find ways to skirt between the beats. Take Hi-Tek’s 1998 track he made for Black Star called “Twice Inna Lifetime” for example. Here, Hi-Tek does indeed accent the normal pulses of a 4/4 time signature. He places bass kicks on the one and three, snares on the two and four, and incorporates an arpeggiated guitar chord strummed regularly. He does, however, change this up much more often than some other producers, like Dr. Dre or Timbaland, typically might. That strummed guitar chord is itself grouped together in a subdivision that doesn’t fit easily into a 4/4 meter’s duplet subdivisions. Additionally, at 1:46, Hi-Tek takes that guitar chord, reverses it, and plays it during a quick accelerando in order to fit it into the space of only six beats. In other words, Hi-Tek keeps the 4/4 rhythmic groove feeling original throughout, because he’s constantly changing it slightly and bringing it back, like a pendulum. In contrast, the producers with whom Missy Elliott most often works tend to make dance-club music. As a result, her tracks are often focused solely on the downbeat and feature purposeful emphasis on the percussive elements in the mix, rather than the mix’s melodic and harmonic instrumentation. Elliott basically counts off the music’s pulse with her words, lining up her place with the current position of the bass kicks and snares behind her. Her vocal entrances and exits from the musical texture become just another secret weapon that her producer can deploy while building the beat drops in order to make the entire song as dope as possible. 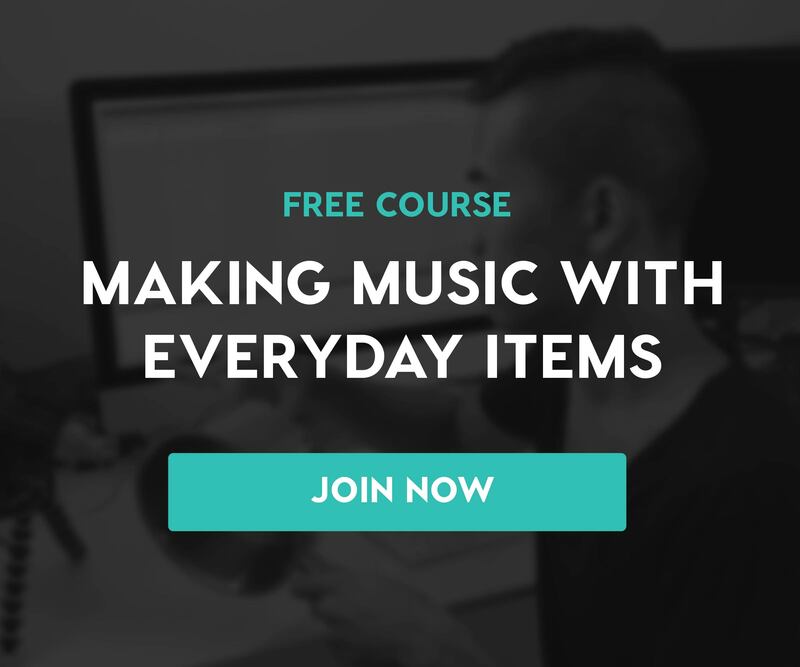 + Learn more on Soundfly: Making the next sickest beat? Brush up on your use of harmonic and melodic theory with our free course series Theory for Producers! This actually gets to the heart of one of the reasons why some people don’t enjoy hip-hop: they’re paying too much attention to the rap. This song isn’t a showcase of Missy’s witty lyrical prowess (you don’t need to look much farther than 2002’s “Work It” for that), and it features no wonderfully inventive counterpoint. It’s about how full the stereo space sounds, from left to right and from near to far. It’s why the snare has four or five samples in it, and it’s why there are four or five versions of the kick drum. Elliott doesn’t want the free interludes of Kendrick Lamar or the incisive social commentary of 2pac. She just wants to do her own thing. Killer beat drops are nothing new or notable in rap, dance, or pop music. What is notable, though, is the fact that “Lose Control” features an unprecedented total of nine beat drops (occurring at 0:24, 0:45, 1:12, 1:27, 1:37, 1:39, 1:49, 2:21, and 2:50)! The fact is, this track is built on the backbeat, and its identity is strongly defined and marked by the vocal rhythms reinforcing it. It takes her 24 seconds to set the precedent of the entire song — she’ll be working the backbeat the entire time, even when the drum drops off the mix. Missy Elliott understands rap, and she makes un-traditional artistic decisions in order to create a unified song that’s greater than the sum of its parts. If you want complicated polyrhythmic groupings, go visit Talib Kweli on songs like “RE:DEFinition.” If you want bizarre rhymes and sprechstimme melodies, you should go to MF DOOM and his songs like “Vomitspit.” Missy is for riding the groove. Let’s examine the structure of “Lose Control,” which utilizes a repeating verse-chorus form with three different lyrical choruses. There are verses at both 0:18 and 1:04, but, outside of those moments, the song is made up almost exclusively of repeated musical material. There’s a chorus that starts with, “Everybody here, get it out of control,” which is played a total of three times on this track. A second chorus goes, “Get your back off the wall,” which happens four times. Then, the third chorus incorporates the lines, “Now move your arms to the left, girl,” and occurs twice. Choruses often afford a rapper the opportunity to repeat and emphasize hard downbeat rhythms. Because both accent and repetition are central features in “Lose Control,” Missy’s unconventional decision to insert changing choruses in a rondeau-like form ends up paying huge creative dividends. It allows the performers to get their crowd even more excited, yes, but more importantly, it’s just another way she allows the beat to take center stage. Fatman Scoop, who plays the role of the hype man; Ciara, the guest R&B singer; and Missy form a kind of rap-trio ensemble. Are there many other songs in the history of rap where the hype man’s rhythms are actually more attention-grabbing and complicated than those of the featured artist? Not really. The producer of “Lose Control” understands how to treat Elliott’s voice as an instrument and fit Fatman Scoop’s syncopations and Ciara’s melodic perfection into the mix. Missy even draws attention to this in her lyrics. At 1:10, she introduces Ciara by dropping the line, “She’ll sing on a cappella,” spotlighting Ciara’s singing role within the ensemble. Say, who was that producer, anyway? The one who garnered so much acclaim with this song’s 2006 Grammy nomination, and whose bank account filled up with the certified-gold status of this record? I guess by now it should come as no surprise that the babelicious beat maker was actually Missy Elliott herself. A musician and writer with a B.A. in Music from Duke University, Martin recently received his M.A. in Musicology from Brandeis University. His research is focused on rap's vocal melodies, and has appeared at the Harvard Hip Hop Music Archive, The University of Cambridge's Popular Music Journal, and at the University of Colorado's rap-focused humanities lab. He's a contributing writer for HipHopDX, Complex, and Pigeons and Planes, and has had multiple articles from his website go viral on BET, The Source, XXL, and MTV. His recent book, The Artistry Of Rap Music (2017 via McFarland Publishing House) is an in-depth music theory analysis of 130 songs by 60 rappers which charts rap's evolution as a music from 1979 until today. It was a follow-up to his 2014 contribution to the McFarland anthology Eminem & Rap, Poetry, Race, the research for which informs the weekly rap lessons that he teaches rap lessons online through the music school LessonFace.